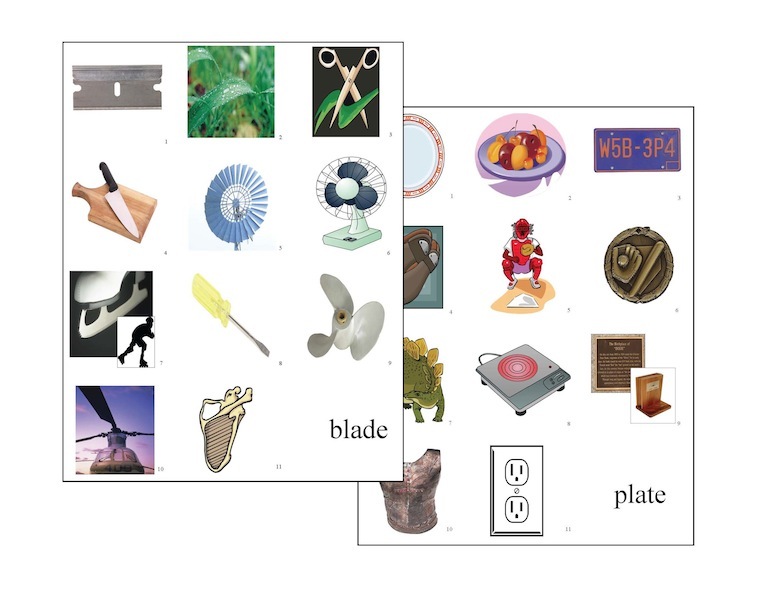 Purpose: To expand word knowledge and develop flexibility of word use will developing sound symbol relationships. 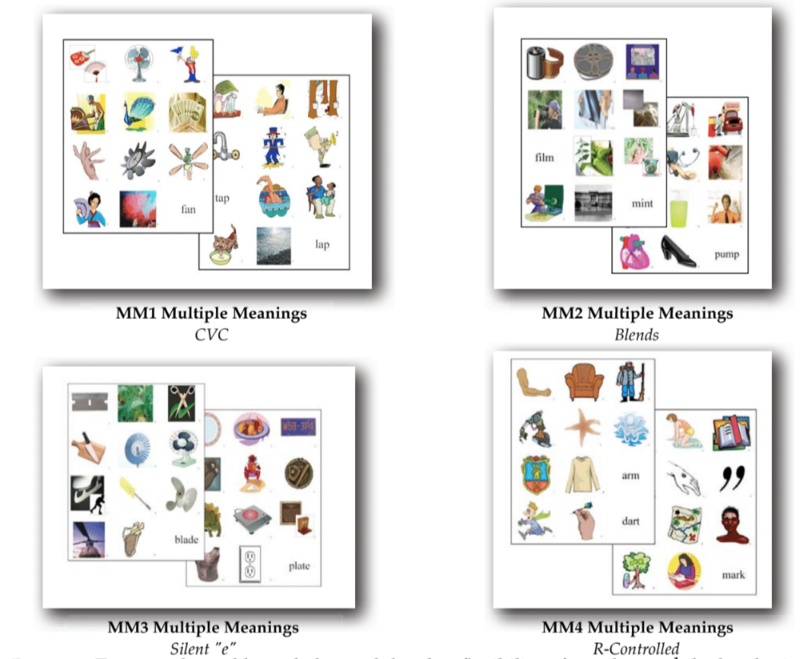 A multitude of colorful graphics are provided to illustrate the varied meanings and uses of words which correspond to sound-symbol relationships. Description: An extensive collection of colorful pictures, illustrate the multiple meanings and uses of each word. Expanded and Condensed versions are available for some of the skills. Books are printed on card stock and spiral bound. 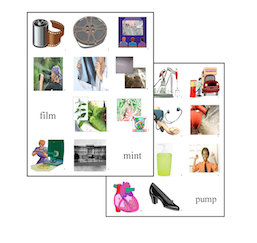 The pages can be separated and cut along grid lines to make individual cards which can be manipulated and sorted. Suggested activities and descriptions of pictures are included. 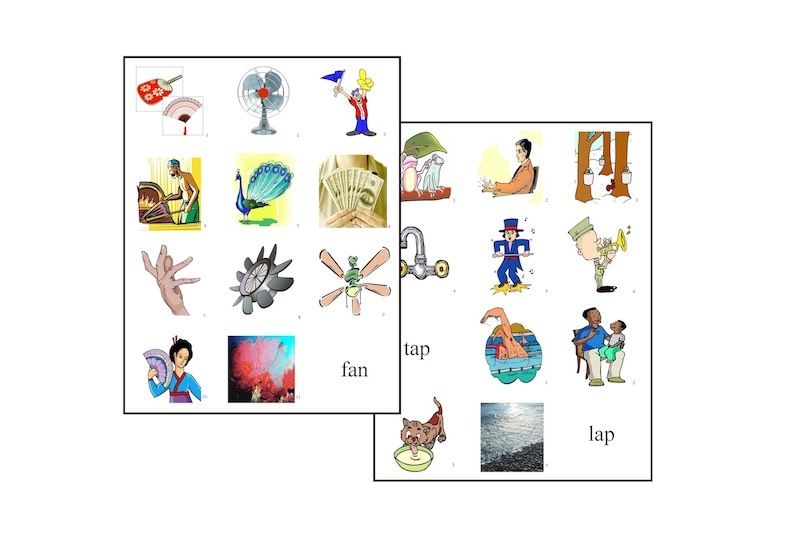 Activities: As word attack skills are introduced, a deep understanding of decodable words can be developed through showing pictures and discussing meanings. 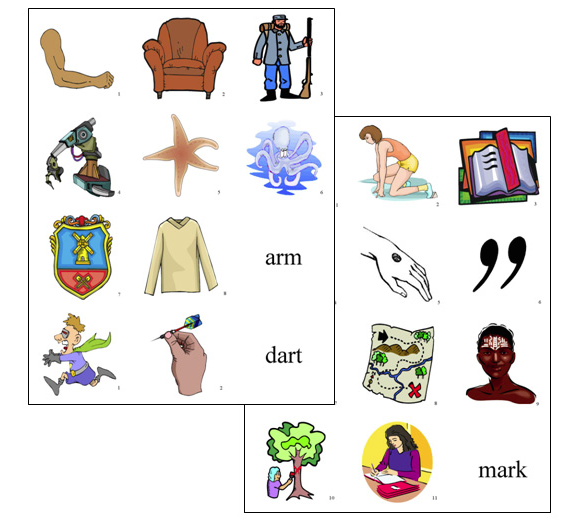 Pictures can be classified in multiple ways and parts of speech can be discussed. Students enjoy creating sentences using the same word in different ways.